goat cheese and cranberry salad | gluten-free glory! 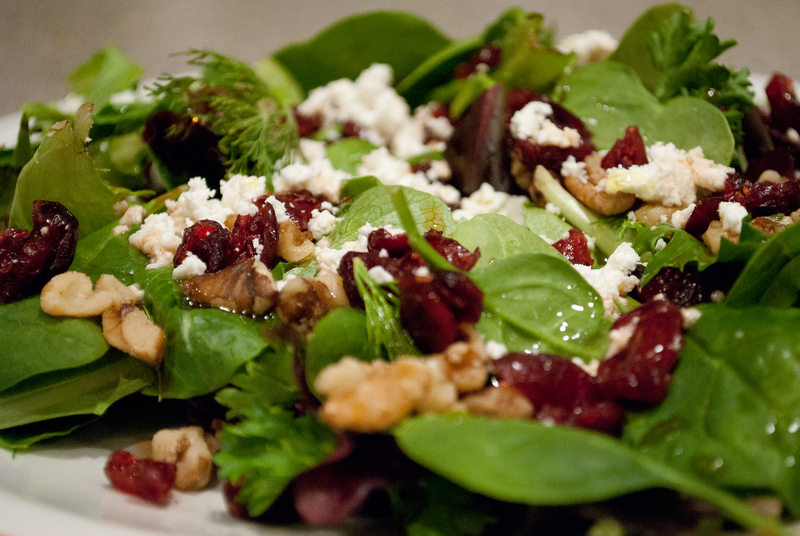 Assemble the lettuce on a plate; sprinkle with cranberries, pecans, and goat cheese. Pour dressing over the top and serve!